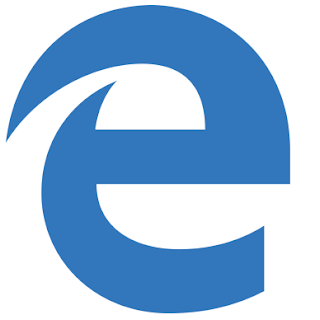 Microsoft Edge is the default web browser on all Windows 10 device classes, including Windows 10 Mobile, and Xbox One consoles, replacing Internet Explorer 11 and Internet Explorer Mobile. It is designed as a lightweight web browser with a layout engine built around web standards, and optimized to take advantage of Windows 10 built-in capabilities, in providing the highest quality, most secure, and most power-efficient browser experience. Find details on why Edge defines the future of web browsing and the technologies that make Microsoft Edge so much more efficient, below. Albeit, browser mobile web convergence was introduced by Google Chrome, Edge has redefined the experience with better performance, and a selection of extensions is now available for Microsoft Edge. Microsoft Edge is reputed to have survived even the most callous browser-engineered attack in the crash Safari meme that engulfed the web, and Edge is the only browser that's stable enough to be exempted from the fiasco, as it loads the site immediately as if nothing was wrong in the first place. Edge is architecturally sandboxed off from the rest of the operating system, so if something goes wrong, no access is gained to the rest of the system. And cutting out support for legacy code that opened Internet Explorer up to attacks is also helpful in reducing the risks. Microsoft Edge relies on DirectX video acceleration as well as “sophisticated graphics and UI compositing features” that offload video rendering. Edge also offloads audio stream processing, giving it an edge over other major browsers in rendering better quality, even as the company showed off recently that Edge was the most efficient browser through a benchmark test. Additionally, Edge is optimized to use PlayReady Content Protection and the media engine’s Protected Media Path, whereas Chrome and Opera implement Widevine, and Firefox implements both Adobe Access and Widevine. And with video efficiency, content protection in the platform and closer to the hardware can offer superior performance, as better the content protection, the better the video quality the service is likely to provide to the browser.